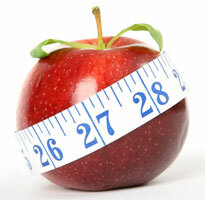 Losing weight is difficult at the best of times and some people have to go to great lengths to reduce their weight. One solution has been to have Gastric Band surgery - Fern Brittan is a well known celebrity who has gone down this route and lost substantial amounts of weight as a result. As with any surgery however, there is some risk as the procedure actually attaches a band around the person's stomach thereby reducing it's volume and capacity, with the result that you feel full eating less food. There are however two problems with gastric band surgery: 1. It is expensive - can cost up to £8000, and 2. You have to go under the surgeon's knife with the associated risks. With the Hypno-Band Weight Loss System as featured on Channel 4's programme Embarrasing Fat Bodies (June 6, 2011) we can change your eating habits and really help you lose that weight you've been trying to get rid of. Put simply, rather than having to go through the trauma and expense of gastric band surgery, I use the Hypno-Band system to convince your mind that you actually have a band fitted. The result is a similar level of weight loss to the surgical procedure, yet it is safe, risk free and vastly cheaper than surgery. The system uses a combination of cognitive begavioural and hypnotherapy techniques over a period of several days; time that is used to evaluate your eating patterns and culminating in a virtual procedure and the fitting of your virtual gastric band. The Hypno-Band system is particularly designed for those people with a BMI (Body Mass Index) over 25 and you can find yours by completing your details in the BMI Calculator below. Having a fear or phobia isn't nice, it interruptsyour life, holds you back from doing the things you'd like to do, makes you feel terrible and you just want it to stop. You know how you feel if you have a phobia or fear or something, whether it's spiders, heights, flying, public speaking or anything else for that matter. You panic, feel nauseous, get pins and needles, cold sweats; well you don't need me to tell you how it feels. When you want to overcome your fear, it's sometimes difficult to know where to start. Hypnosis is a proven way to help, to help you get back on track and start living your life the way you want it to be. Imagine how good it would feel to get rid of all that weight you carry around with you and live life to the full. I've helped lots of people to overcome their phobias and perhaps I can help you too. If you would like to get in touch and need any more information then give me a call or drop me an email.